Fed-up tenants now rebelling against him, too, and looking for the city for help. Billy Martin said the rent increase Marr is seeking will displace him and his family. It was either the East Bay real-estate crime of the century, or one of the smartest, boldest business moves a landlord ever made. As the global economy was imploding in 2008, local investor Michael Marr began scooping up foreclosed homes at public auctions, often for less than half their current market value. 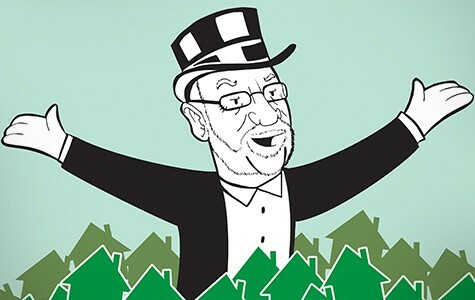 By 2012, Marr had purchased hundreds of properties. He flipped some of his auction winnings as housing prices began their meteoric climb again. But the rest — a giant collection of ramshackle bungalows, mid-century block apartment buildings, back-lot annexes and funky duplexes located mainly in Oakland's flatlands — are rental properties managed by one of Marr's companies, Community Realty. And, thanks to soaring rents, Marr's properties have generated unusually big investment returns. Definitely a smart business move. Marr owns approximately 333 Oakland houses and apartment buildings, according to Alameda County records, making him the fourth largest property owner in the city, outranked only by the city of Oakland, the state of California, and the Oakland Housing Authority. His company claims to have invested more than $300 million in East Bay real estate, with 1,300 rental units under management. 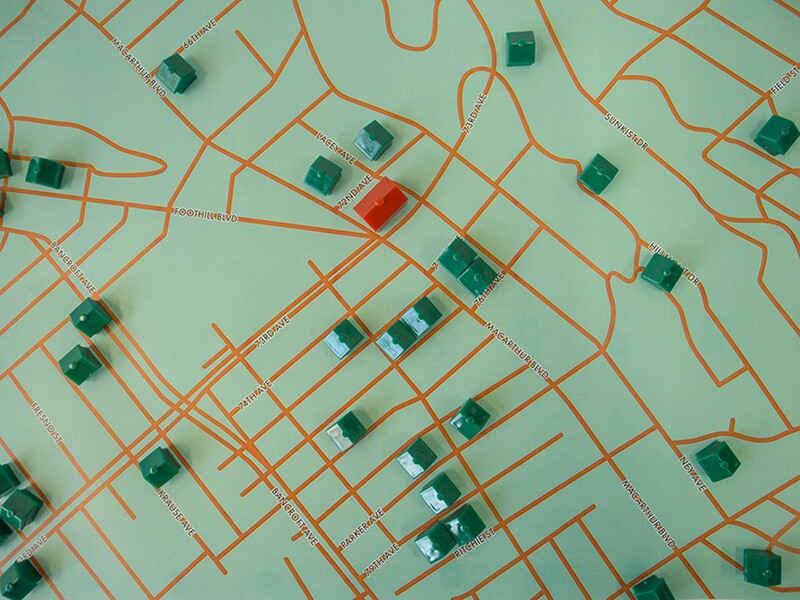 If Marr's empire was a Monopoly board game, he'd definitely have the most little green houses. 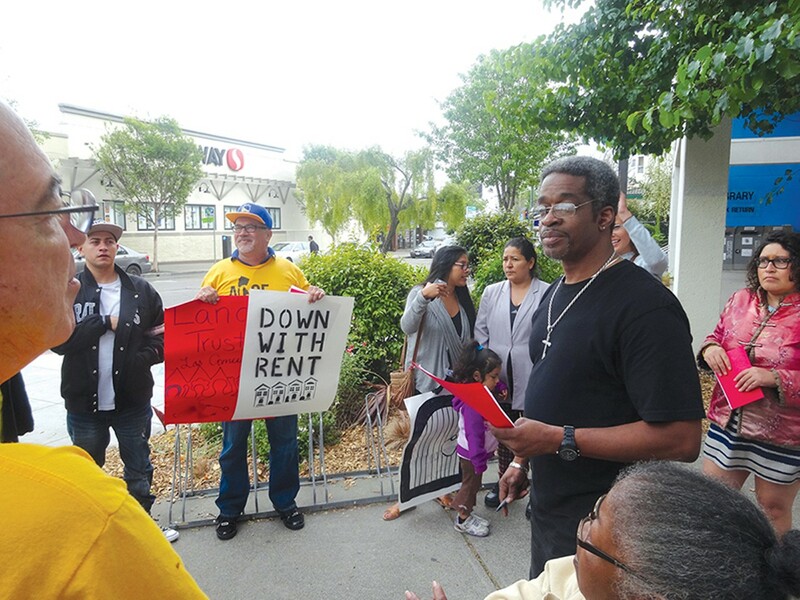 But local tenants have grown increasingly frustrated with Marr's property-management company, due to what they say are bruising rent increases and substandard living conditions, and now a small contingent of fed-up renters are petitioning the C­ity of Oakland to intervene with help. Things got worse for Marr in 2011, when the FBI raided his offices as part of a probe into what federal agents have characterized as a "conspiracy" to rig foreclosure auctions. They say Marr scooped up distressed housing at below-market prices and cheated lenders, banks, indebted home owners, and taxpayers. A federal grand jury indicted Marr and eleven other East Bay real-estate investors in 2014, alleging they made a pact not to compete with one another at foreclosure auctions. Instead, the feds say they gathered on the steps of Alameda County's Rene C. Davidson Courthouse and at other auction sites, and bought real estate at purposefully "suppressed" prices, divvying the spoils among themselves later at secretly held "secondary auctions." So, which was it: business brilliance or a criminal conspiracy? Billy Martin lives in a small two-bedroom, ground-floor apartment in a three-unit building, tucked behind a house on a long lot in deep East Oakland. Community Realty bought the grey stucco triplex, along with a separate house at the front of the lot, in 2014 for $385,000, two years after Deutsche Bank foreclosed on the original owner. Martin, with his gravely voice and a gleaming golden Bluetooth always plugged in his ear, wants the government to suspend all of Marr's assets and prevent his company from raising rents during the fed's trial. "They should freeze everything he's doing until after he's out of court and there's a final decision about whether or not he's guilty," Martin said. Dozens of investors in Northern California already pleaded guilty to organizing similar bid-rigging schemes at foreclosure auctions. But Marr and his associates insist they are innocent, that he's a federal scapegoat instead of going after the after banks. He's hired expert white-collar defense attorneys to fight the feds, all the way through a jury trial if necessary. 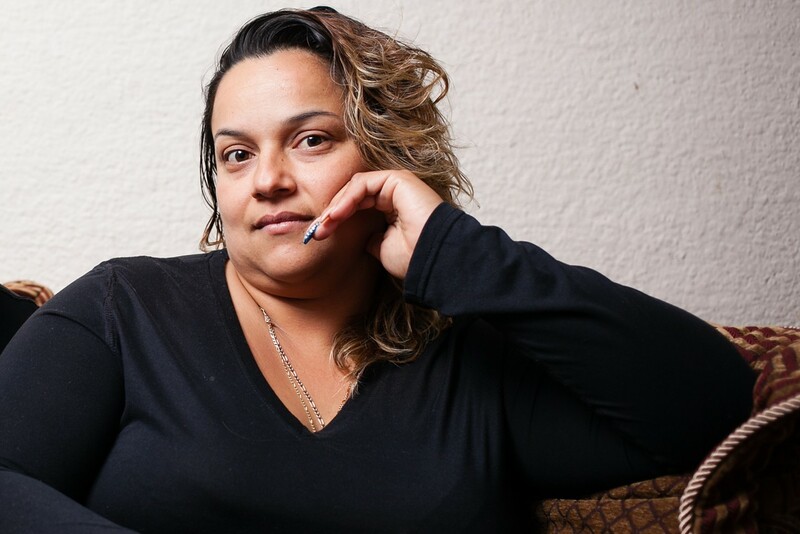 But a growing number of Marr's tenants are beginning to complain about big rent increases and issues such as missing windows, bedbugs, mysteriously disappearing rent checks, and shady eviction practices. 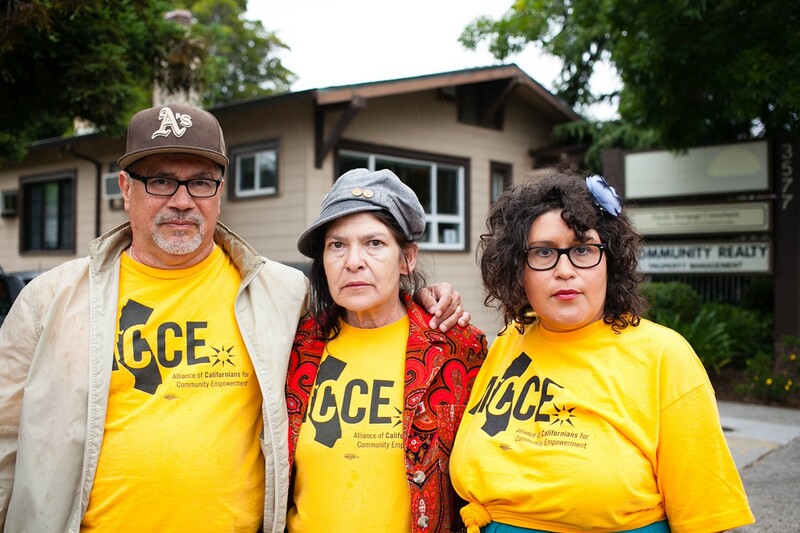 Some of these renters are fighting Marr's company before Oakland's rent board. Others have written to Oakland Mayor Libby Schaaf and City Attorney Barbara Parker, asking them to intervene by sending building inspectors. Martin thinks Marr will be found guilty. "So, in the meantime, what he's doing to people like me, well, it shouldn't be legal." What's Martin's beef? He says that one of the first things Marr did after purchasing his building was to make substantial repairs on two of the empty units on the property. Marr didn't do much to improve the specific unit Martin lives in, he claimed. Then came surprising news: Marr sent a letter demanding a 75 percent rent increase, raising Martin's rent from $800 to $1,400 a month. "My wife works two jobs, my job is part-time, so we could afford some raise in the rent," he said. "But this is outrageous." 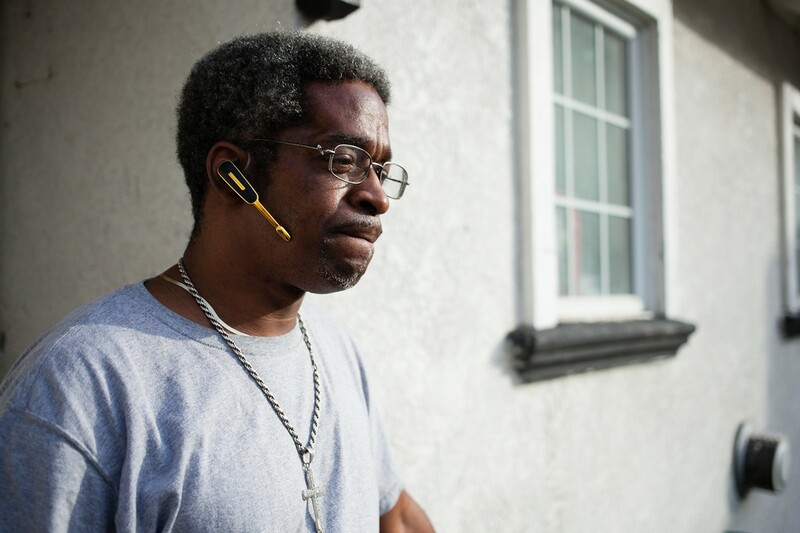 The fifty-year-old, who lives with his wife and two sons, grew up in Oakland and has seen a lot of things change. But he said he's never seen the city's housing situation so out of control. "If he prices us out, we don't have anywhere to go," Martin said. Martin's next-door neighbor Willie Packnett is facing an even bigger rent increase — a $1,000 monthly bump, which Marr's company demanded in June of last year. "We're getting squeezed out," said Packnett, who moved to Oakland in 1977 after he got out of the military. Packnett's two daughters, and their two children, live with him. "One of my grandchildren has sickle cell anemia," he said. "The other has asthma." He explained that it now seems that the only affordable place for people like him is far outside of Oakland, in places like the Central Valley. But he fears that moving would negatively impact his grandchildren's health. Martin and Packnett have filed petitions with the city's Rent Adjustment Program, seeking to halt the increases. They pleaded their case to a hearing officer, and the city ruled in their favor.